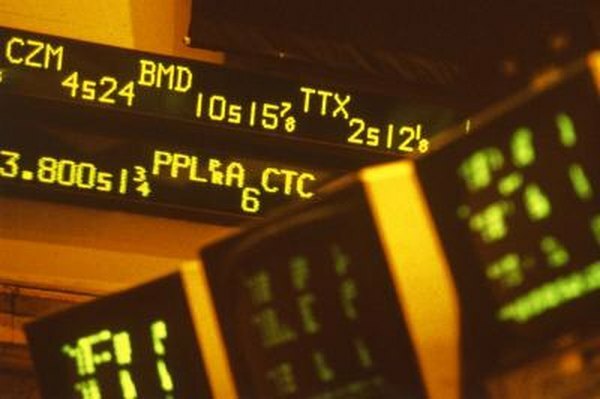 Up-to-date price information is critical on the trading floor. As part of the delicate mechanism of global finance, bonds and stocks are two well known investment opportunities. Their relative values indicate the mood of the market, and by extension, the measure of confidence in an economy. There are reasons why as one investment option rises in value, the other becomes less attractive. Investing in a bond is a way of accruing long-term capital growth or regular income. Bonds are regarded as a steady source of return on investment over a long period. From a national point of view, bonds are a source of financial stability; government bonds are issued in times of war. For investors, bonds provide income without a great deal of risk, and bonds often don't incur certain taxes. Investing in stock carries a great deal more risk than investing in bonds. This can produce greater, quicker rewards. This in turn makes investing in stock attractive to venture capitalists. Stock is ownership in a particular company. The value of stock, which is divided into shares, can vary a great deal, very quickly. So the more money a company or a person has invested in stock, the more they have to gain or lose. Unlike stocks, the financial return, or "yield," of bonds depends on the interest rate at any given time. Interest is reward for investment, and the rate of interest depends on the rate of inflation. Inflation is the increase in the cost of goods and services. In times of high inflation, interest rates also rise, as lenders (investors) in the economy want to maintain profit margins on their investments. A successful investor -- from the private individual to the global financier -- will always make sure he gets the best "bang for his buck." Investment in bonds or stock changes with confidence in the economy. If investors are confident of future growth, they will invest in stock in individual companies. If they do not, they will invest in bonds, as they know that interest on these bonds will rise. Prudential UK: What Is an Investment Bond? TD Direct Investing: What Are Stocks and Shares? Based in Newcastle upon Tyne, Phil Wharton has been editing and contributing to magazines and newspapers since 2001. His articles have appeared in “Bread and Roses” magazine and “Industrial Worker.” Wharton holds a Bachelor of Arts in humanities from Manchester Metropolitan University, an NCTJ Certificate of Journalism and is currently researching for a PhD in politics at Durham University.